How do I include an Unsubscribe link in my Sequence? To make it easier on your candidates to unsubscribe from future messages, you have the option to include an unsubscribe link in your sequences. Gem will add a small grey unsubscribe link to your email sequences. 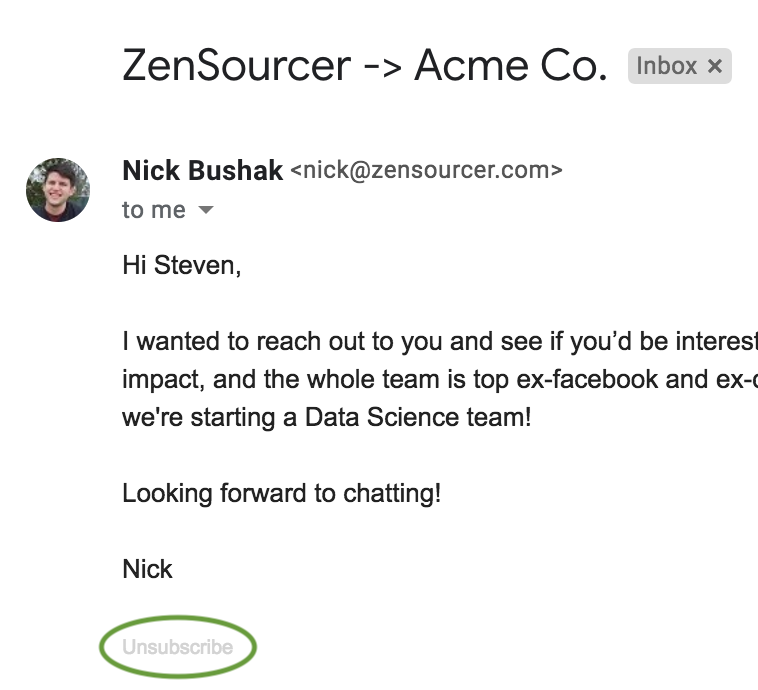 When a candidate clicks unsubscribe, Gem will add them to an unsubscribed list shared across your team. If the candidate clicks unsubscribe, Gem will show a warning and prevent any team member from sending a sequence to any candidate on your team's unsubscribe list. Need help adding unsubscribe links to Sequences in Gem? Feel free to reach out to the Gem team by emailing us directly at support@gem.com or press "Chat with Us" in the Gem home page.